There are currently 8,581 users on this website. Hi all. I recently bought a korean coin/ token that I would like to get info on. I have been looking on the internet but havent found much on the coin, I'm probably not looking in the right place. 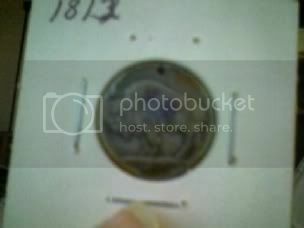 The coin says 1950 1952 17th INF KOREA on the front and on the back there is a buffalo with the year 1812. I was looking around and found "challenge coins" that had the same kinda style, I was wondering if maybe this was a challege coin. If anyone has any info let me know. I'm going to include some terrible pictures, my camra broke so I took them with my phone CAM :(. Thanks! What could be the significance of 1812? It predates the Buffalo nickel by 101 years. Could be a form of trench art as seen in previous wars. (EM club)for us. If you ask another Buffalo GI if he has his Nickle with him, and he does, you buy him a beer. If he doesn't he owes you a beer. I ran into an old friend I served with in Korea about 20 years later and one of the first things he ask was "do you have your nickle"
And I said "yes" because I still had it and I still carried it. "This quarter will capture the imagination of Americans," said Deputy Director Lebryk. "It evokes remarkable pieces of North Dakota history - wild buffalo herds and the rugged landscape of the Badlands." The reverse of the North Dakota quarter also bears the inscriptions "North Dakota" and "1889," the year North Dakota was admitted into the Union, becoming our Nation's 39th state. The North Dakota quarter is the 39th coin in the 50 State Quarters series and the fourth commemorative quarter-dollar released in 2006. Following the ceremony, Deputy Director Lebryk, Governor Hoeven, First Lady Mikey Hoeven, Lieutenant Governor Dalrymple and the 17th Infantry Regiment and Company H re-enactors handed out shiny, new North Dakota quarters to the children in the crowd. Adults lined up to exchange their bills for $10 rolls of North Dakota quarters. It appears you have something that is not cataloged. Cunningham shows the same images but 1950 1951 for 1st Brigade 17th Infantry and another for 1950 1951 17th Infantry. They also were issued holed. Both issues came from Camp Casey (Ton Du Chon) Camp Casey BTW was established on Jan. 14, 1954--Post Korean War. So maybe they are Challege Coins or some kind of tribute issue to the Brigade/Division when they during the war. 2nd Infantry Div also issued a similar token from Camp Casey but with the Indian Head design. It too was issed holed. 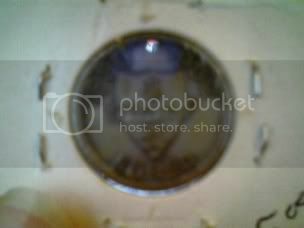 The Indian Head side is dated 1917 and the unit side is dated 1960. This would seem to be some kind of Challenge Coin or unit tribute token. As far as I know what Cunningham cataloged were tokens that could somehow be spent in clubs or exchanges. So, I thinking *maybe* for both 17th and 2nd they were all of the above--A Challenge Coin, a tribute token and something that could be, if someone wanted, be used in the clubs. Thanks for all the info everyone! I greatly appreciate it! Very interesting. learn so much on the forum. What you have there is considered by experts to be the oldest known Challenge Coin. Those who disagree, I Challenge you to find one older. Other people also have one of these, and they can be found on eBay occasionally. They typically sell for about $200.